By the end of the 19th century portraits and statues of Shakespeare were appearing in numerous contexts, and his stereotyped features were being used in advertisements, cartoons, shops, pub signs and buildings. Such images proliferated in the 20th century. The ubiquity of these stereotyped features has led to adaptations of Shakespeare portraits by several modern artists. 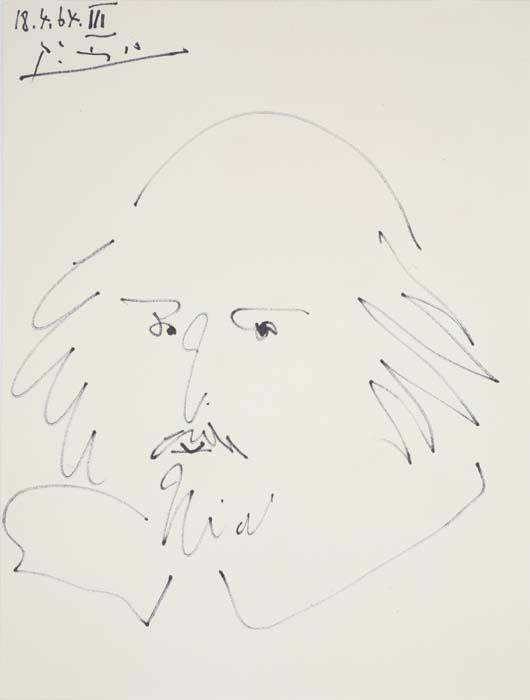 In 1964, for the 400th anniversary of Shakespeare's birth, Pablo Picasso created numerous variations on the theme of Shakespeare's face reduced to minimal form in a few simple lines.